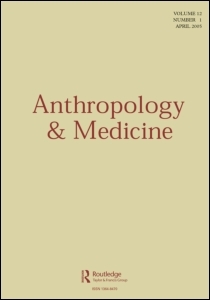 The latest issue of Anthropology and Medicine is a superb special issue titled “Towards an era of bureaucratically controlled medical compliance?” and guest edited by Somatosphere contributors Kalman Applbaum and Michael Oldani. “Worldwide pharmaceuticals sales in 2010 are projected at US $825 billion, representing a compound annual growth rate of roughly 10% per year from 1999 onwards. Pharmaceuticals account for 18% of healthcare expenditures worldwide, a percentage that has grown in double digits in recent years. Through much of the 2000s the industry was the world’s most profitable. Amid the relative poverty of breakthrough drug discoveries, corporate strategists have turned to treatment non/compliance as a recovery site, a slag heap for lost profits,” (Applbaum and Oldani 2010). “Compliance’s usefulness as a measure of prescribed treatment adherence by a patient has been its ability to index treatment success, and therefore help in ensuring and governing health. What these anthropologists have discovered, however, is that because of its function as an index, compliance has been itself instrumentalized and made to serve goals sometimes quite far from health. Most fascinating is that it is not only pharmaceutical and insurance companies – the standard bugbears of capitalized medicine – that are engaging in this instrumentalization of compliance, but it is happening across the board, by the severely mentally ill, TB treaters, doctors and nurses. Where compliance may have been at times a research question of efficacy or an index correlating with health, throughout these ethnographies compliance has become the operative definition of risk prevention. At the experiential level, we might call this process ‘interpillation’. With a tragic nod to Althusser’s own struggles with mental illness, interpillation is the process of calling into being biomedical subjects as having been always-already in need of treatment. Individuals, especially those with mental illness, are increasingly left with no other subject position,” (Dumit 2010). Kalman Applbaum; Michael Oldani, Towards an era of bureaucratically controlled medical compliance? In the post-asylum era, case managers perform much of the face-to-face work of pharmaceutical compliance for people with severe and persistent mental illness. Their work demands careful orchestration of the assemblage of compliance, including the actual medications, the ideology of biopsychiatry, the division of professional labor, and certain mundane tools. Ethnographic vignettes from an Assertive Community Treatment (ACT) team show how case managers use this assemblage in their everyday routines, but also how it undercuts key elements of the original ACT mission. Reflecting its roots in the deinstitutionalization movement, the ACT model gives case managers limitless responsibilities for clients’ lives, but then narrowly defines their role as the prosthetic extension of psychiatric authority. To produce compliance, case managers depend on the medication cassette, analyzed here as a human/non-human hybrid woven into their ordinary work. The medication cassette has pre-scripted uses that enlist clinicians in biopsychiatric thinking and also silently impose compliant behavior on clients. The elements in the assemblage of compliance depend on each other, but they do not form a seamless whole, as evidenced by the dilemmas and micropolitics of the clinical front-line. Theoretical notions of assemblages and technologies of compliance, drawn from science and technology studies, illuminate a core conundrum of practice in psychiatric case management. Why, after 40 years of intensive research, is adherence to treatment still an issue? This paper suggests a possible solution to an apparently unsolvable problem: reconceptualizing adherence. To understand how adherence can affect key personnel in any western health system, this study focuses on community nurses working with older mental health patients in Quebec. When they spoke about adherence, nurses presented an idealized image of the nurse-patient relationship, namely, the caring nurse and the trustful patient. However, this idealization cannot be reduced only to questions of power and paternalism. By reconceptualizing adherence as a ‘matter of concern’, health professionals and researchers alike might come to understand individual care situations within a broader notion of conflicts in patient care. This paper situates medication adherence among adolescents in current cultural and political-economic debates about compliance/adherence and the formation of biomedical subjectivities. Building on prior work of the authors, this paper explores the role of desire in adherence to show how subjectivities are shaped by concordant, instrumental, or conditional forms of desire. Data is used to show how parents and adolescents compare the medicated self before and after, resulting in the formation of desire. It is argued that adherence is an outcome of desire: no desire, no adherence, or varying types of desire. Moreover, adherence is not a steady state. It is produced moment to moment as adolescents confront the desires of others. The study uses interview data to construct a case study of concordant desire, which is a form most likely to produce adherence. With concordant desire the medicated come to expect a future life on medication and a life where symptoms are stripped of their social and psychological meaning and significance. This paper focuses on psychiatric medication experiences among a sample of North American university students to explore a new cultural and social landscape of medication ‘compliance.’ In this landscape, patients assume significant personal decision-making power in terms of dosages, when to discontinue use and even what medications to take. Patients carefully monitor and regulate their moods, and actively gather and circulate newly legitimated blends of expert and experiential knowledge about psychiatric medications among peers, family members and their physicians. The medications too, take a vital role in shaping this landscape, and help to create the spaces for meaning-making and interpretation described and explored in this article. In concluding the article, the authors claim that two popular academic discourses in medical anthropology, one of patient empowerment and shared decision-making and the other of technologies of self and governmentality, may fail to account for other orders of reality that this paper describes – orders shaped and influenced by unconscious, unexpressed and symbolic motivations. Currently, the life expectancy of black Americans is about five years shorter than that of white Americans when factoring for gender. Poor patient compliance is often used as an explanation for why black people have worse health outcomes. The proof, however, is anecdotal and relies primarily on discourses about black people’s general dysfunction. Black patients often respond in kind to problems they experience with health care access. They often conclude that the medical professionals they work with are racist. In most cases, neither of these explanations is correct. This paper argues that behavioral explanations for health care disparities shift attention away from structural issues, namely health care rationing and the limits of therapeutic medicine. The lack of an open discussion about the structural issues is part of the reason the goal initiated by the Clinton administration to end racial disparities by 2010, Healthy People 2010, largely failed. This paper explores the issue of compliance by focusing on the control of tuberculosis. In the last ten years, patient compliance in tuberculosis control has discursively shifted from ‘direct observation’ of therapy to more patient-centred focus and support drawing on rights-based approaches in dealing with health care provision. At the same time, there has been an increased international concern with the rise of drug resistant forms of tuberculosis, and how to manage this. This paper looks at these issues and the tensions between them, by discussing the shift in discourses around the two and how they relate. Drawing on experience from work in Nepal, and its successful tuberculosis control programme, it looks at debates around this and how these two arenas have been addressed. The rise of increasingly drug resistant forms of tuberculosis has stimulated the development of new WHO and other guidelines addressing how to deal with this problem. The links between public health, ethics and legal mandate are presented, and the implications of this for controlling transmission of drug resistant disease, on the one hand, and the drive for greater patient support mechanisms on the other. Looking forwards to uncertain ethical and public health futures, these issues will be mediated by emergent WHO and international frameworks. Primary Care clinics in the United States continue to incentivize doctors to adhere to clinical guidelines regarding record keeping and managing specific patient disorders. This paper offers a case study of a US physician working in a system of total compliance. This narrative will illustrate how a specific system has emerged that pays doctors an end-of-year bonus for achieving compliance in four specific areas: record keeping, service hours, customer satisfaction surveys, and maintaining tight control of diabetic patients. In particular, special attention is paid to the emphasis on ‘the numbers’ within the corporate compliance model, and specifically, the relative value units (RVUs) used for structuring billing, labeling patients, and organizing the day-to-day activities of doctors. Although incentivized models of compliance have proved effective in managing both doctors and patients, especially in the UK, ‘gaming’ the system can occur. This paper identifies one example of how patients assume a hidden risk within this model by potentially being labeled noncompliant by having the wrong numbers, even when receiving good clinical care and acting medically compliant. Prevention of illness has become a central theme in debates over strategies to reduce healthcare costs. Severe mental illness poses a special challenge to the paradigm of rational prevention, the principal strategy of which is adherence to pharmacological therapies. With the contraction in the US of in-patient psychiatric care from the 1960s onwards, the mentally ill have become more visible among the homeless and among those caught up in the penal system. Their characteristic visibility contributes to their image as threatening. The perceived dangerousness and the combined societal and economic costs associated with the illness have generated a heightened, and in some venues even a sensationalized rhetoric surrounding the questions of responsibility and control, which we consider in terms of compliance. Using the linguistic method of discourse analysis, we analyze one high profile instance – an episode of CNN’s ‘Special Investigations Unit’, which aired several times in the summer of 2007 – to demonstrate a narrative linking of the high social costs and failures associated with noncompliance and, therefore, the imperative of enforcing it for the safety of society. Through the semiotic reduction of a ‘poetic parallelism’, the episode reflects and reinforces existing cultural models for mental illness, including its status as straightforward biological disease amenable to pharmacological therapy but which remains uncontrolled due to widespread noncompliance. Raikhel E. Towards an era of bureaucratically controlled medical compliance?. Somatosphere. 2010. Available at: http://somatosphere.net/2010/towards-era-of-bureaucratically.html/. Accessed April 24, 2019. Raikhel, Eugene. 2010. Towards an era of bureaucratically controlled medical compliance?. Somatosphere. http://somatosphere.net/2010/towards-era-of-bureaucratically.html/ (accessed April 24, 2019).